On Thursday March, 13 the US dollar increased vs. the euro, but decreased vs. the yen and major commodity currencies amid strong US data. The euro dropped after Draghi’s comments about probable measures of monetary policy easing. The Australian dollar strengthened its positions after strong Employment Change report in Australia. The New Zealand dollar increased after RBNZ’s increase of Official Cash Rate. The yen strengthened its positions amid stock markets drop and increase of demand for safety assets. The US dollar was decreasing in the first half of the day, having refreshed the lows of the year to the dollar index, but then it gained back all the losses, having closed almost without changes – after the release of strong data in the USA. The US Initial Unemployment Claims last week decreased by 9 000 to the low of the end of November of the last year at the level of 315 000 – whereas increase of claims to 330 000 was expected. 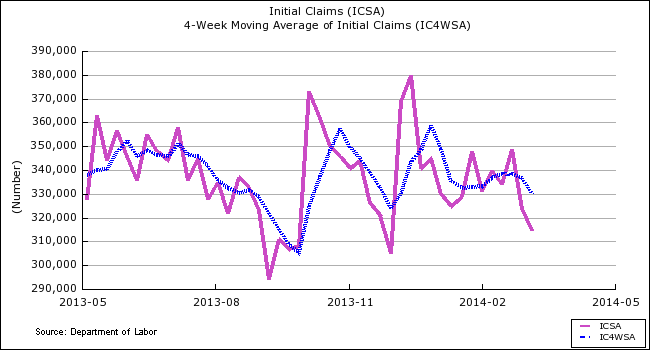 Four-Week Moving Average of Initial Claims decreased from 336 750 to 330 500 – it is 3-month low. The US Retail Sales also appeared to be better than expected. Retail Sales increased in February by 0.3% m/m after 2-month decrease – against the prediction of growth by 0.2%. Retail Sales Ex Auto rose by 0.3% as well having exceeded the expectations of growth by 0.1%. However, January data was revised downwards. 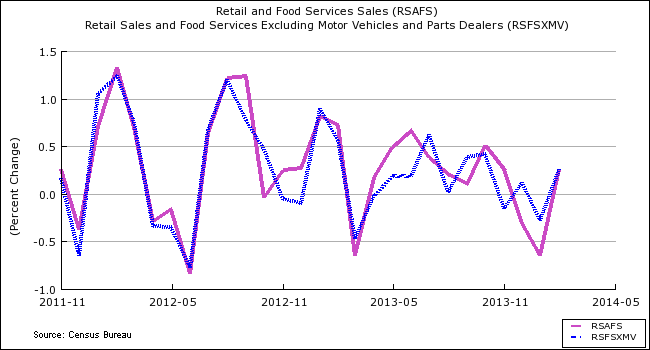 Retail Sales report is an important indicator of Consumer Spending which accounts for more than 2/3 of the US economy. Import Prices in February also increased more than it was predicted, by 0.9% m/m – having exceeded the expectations of growth by 0.5%. The euro refreshed the low of the year vs. the US dollar during the Asian session, but then it decreased. The European currency sharply dropped at the end of the day after ECB’s Mario Draghi announced that the Central Bank is passed over the euro strength; and the ECB expresses hope for the common currency will decrease in the foreseeable future. The ECB is getting ready for taking additional substandard monetary policy measures for maintenance of such extreme circulation, and it is ready for taking further drastic actions if necessary – Draghi added. The yen strengthened its positions to more than weekly high vs. the US dollar amid stock markets drop and strengthening of demand for safety assets. Stock markets dropped amid weak Chinese economy data and aggravation of tension in Ukraine. Chinese data of Industrial Production, Retail Sales, and Fixed Asset Investment appeared to be considerably worse than the forecasts, which led to increase of concerns about the second world economy. DJIA decreased on Thursday by 1.4% (the most large-scale drop since February, 3). Nikkei 225 Futures dropped by 3%. Strong Core Machinery Orders in Japan supported the growth of the yen as well. Leading Investment Indicator – Core Machinery Orders rocketed in January by 13.4% m/m. Data speaks for the more confidence of the companies about economy withstanding sales tax increase. The Australian dollar strengthened its positions after strong Employment report in Australia. Employment in Australia in February increased by 47 300, which is trice more than expected increase by 15 000. At the same time Unemployment Rate is still at the level of 6.0%. The New Zealand dollar increased to 11-month low vs. the US dollar after New Zealand was the first country to increase key interest rate. The Canadian dollar also strengthened its positions on Thursday after AUD and NZD, amid Canadian New Housing Price Index growth, which exceeded the expectations.